This was a debate I was having with myself and also with my boyfriend. Which license should I go for? Okay, in original planning, I didn’t even know what a Sport Pilot’s License (SPL) was. When I finally brought up flight lessons with Embraer Boyfriend he suggested the SPL route to save money since I won’t really fly at night or above 10,000 ft. Save a few thousand and less time, sure I’ll go for that. Oh wait, every other pilot seems to hate SPL. I joined a forum and asked other pilots their opinion. That opened Pandora’s box for sure. It was a bit overwhelming, so many different opinions and STRONG opinions at that. I was still confused. I had originally thought of earning a PPL. The decision will be made going up in the flight school’s sport plane and see how I like it. Discovery flight came, they had messed up my reservation. My instructor wasn’t checked out in their Tecnams. I was sick of being delayed and wanted to get up in the air so I went up in a Cessna 172 with her. I enjoyed it. Embraer Boyfriend was not too happy when I came home. I should always refuse to fly when it’s not the plane I want to learn to fly, apparently. My mistake. I called and scheduled another lesson with the same instructor because she was apparently getting checked out in it. I show up, nope, not the case. I did another lesson anyway. After traveling an hour and a half and expecting to fly I’m not commuting back another hour and a half without flying! Alright, no more getting pushed around. 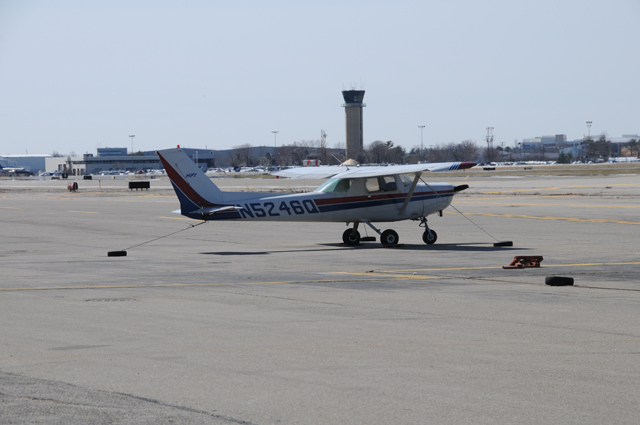 I called and insisted I get an instructor that was checked out in the Tecnam Eaglet. A 3 week wait to get on her schedule, fine, I can live. FINALLY the day comes. No, wait it doesn’t, too windy even though I traveled out there. Light sports can’t go up in such strong winds. Okay, now FINALLY the day comes AGAIN. We prep the plane. You have to “burp” these planes as well. It’s been a long time since someone flew it since it took a long time to “burp” it. I’m sitting in the left seat, time to start the engine. It’s not catching. This is a nightmare. When it does finally catch and get started the plane continues to yell at us about the oil temperature. My instructor just wants to give me some time in the air so we hop in a Cessna 152. I had missed my train but another instructor was nice enough to drive me to a different station so I didn’t have to wait another hour for a train. We talked on the way and he told me how much the Tecnam’s are broken and they aren’t a good plane. I made up my mind, it was too much work and fighting too much against everyone. I’m going to get my PPL and do it in a 152. It was such heartache and stress trying to get training started for a SPL. I wanted to save time and energy, and it’s what I foresaw in the first place. So now I officially began down that path. Thanks. I know his intentions were good on trying to save me money. But I wasn’t ready to put up a fight against so many people/things (everyone at my FBO and then weather and planes) along the way. Now it’s mainly just the weather, sometimes the planes.